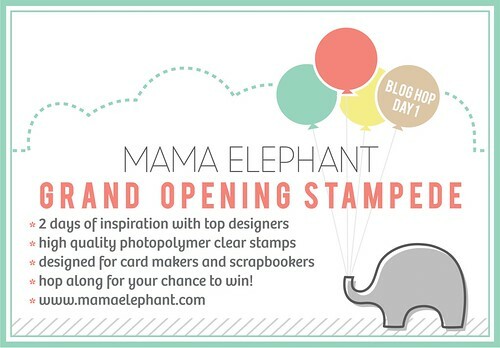 mama elephant | design blog: Mama Elephant Grand Opening Stampede - Day 1! Mama Elephant Grand Opening Stampede - Day 1! *If you are experiencing difficulties with PayPal, try switching to a different browser. We are working feverishly to get another payment option set up. Welcome to Mama Elephant's Grand Opening Stampede! Since this is everyone's first time here, how about a little intro? Mama Elephant is owned and operated by two childhood friends from NYC. We are so proud to bring the collaboration of our aesthetics to Mama Elephant! 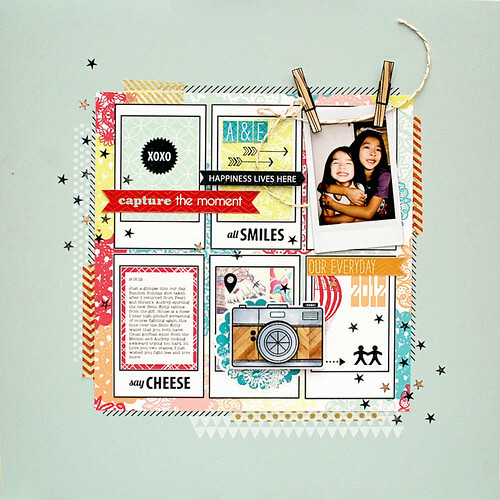 Our stamps are designed with card makers and scrapbookers in mind! Our stamps are carefully curated to provide optimal versatility with a wide variety of styles - cute, whimsical, bold, graphic, and fun! Angela and I have known each other since we were best friends in the 5th grade! Social media wasn't around in the 90's, so we kind of lost touch for awhile. During that time, it's funny how we both pursued an education in the creative field. We have united after many years and picked up right where we left off and decided to go on this venture together! We're both mamas and we both have an affection for elephants, with daughters named Ella and Ellie -- hence the name Mama Elephant! We hope you're as excited as we are! As lifelong artists, there is nothing more gratifying than sharing our art and designs! We welcome you to follow our blog. Find us on Twitter, Flickr, and Pinterest! Oh and of course there's Facebook! Do stop by and say hello, we're picking a winner from there too! Sooo, to celebrate this big day, we invited some super talented designers to showcase our stamps. Comment on their blogs to win some freebies! We're also having a grand opening sale! Take 10% off your purchase with coupon: GRANDOPEN! Hop along with us and soak in the inspiration! We're giving away a bunch of gift certificates! 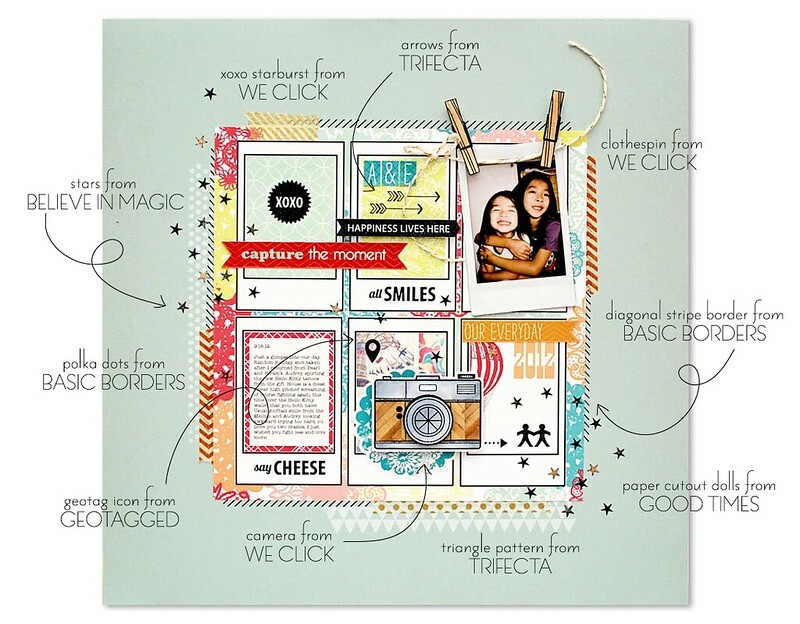 I created this layout that uses 6 out of the 8 stamp sets we are releasing today. You'll see these stamps showcased as well as another card from me along the hop on my personal blog. So there you go! The next stop on the hop is my sweet friend, Teri Anderson! Love her to bits and I know she's got something fun up her sleeve!! Remember to come back tomorrow for the second round with all new designers! Congrats and good luck with your new venture!..am loving the stamps already! I found you thru Lisa Spanglers blog, stamps look great! Good luck with your new business. I'm sure you will be a great success since Jennifer McQuire recommends you. Congrats to the both of you! The layout is wonderful as is all the stamping. WHOOHOO!!! Congrats and Good Luck!!! Gorgeous LO...love the stamped details...just amazing!! Off to see the new stamps...they are awesome! Wow! Congratulations Kryssi!! Your stamps are absolutely gorgeous! Again congrats on your new awesome venture and good luck! Congrats, Kryssi! The stamps look amazing and I love your layout. I see much success in your future! Gorgeous layout!!!! Can't wait to see what else you have up your sleeve! Congrats! Very exciting and your designs are always uber CREATIVE! Wow!! These are all so great! Such a fabulous layout! What a great selection of stamps! Congrats on your new line! LOVE them! Luv all the stamp sets! WOW! I love the stamps! Congrats on your new line! This layout is amazing and I am in love with your stamps! Thanks for sharing and congrats on your opening! Wow that is so awesome, loving your stamps! WOW!! This layout is amazing!! What an incredible hop! So many fantastic projects! The new stamps look awesome!! So, so exciting! Congratulations! And what a great layout! Love stamps that do double duty - good for layouts and cards! This page is great. Can't wait to see what everybody else does. Love love love all of the sets! Congrats on your new venture! I'm so so excited for this company... such cute sentiments! TFS! That layout is gorgeous! LOVING it! And I am LOVING what I see in your stamp store! So excited for you to be opening up your own small business...congratulations! I look forward to what you have in store for all of us!! I hopped and left comments for everyone! Thanks to all for a great hop and sharing your great creations with us! Congrats on the new stamp company! With the amazing creativity, I know your stamps will be hugely popular! Love the darling layout! I love your new stamps, Kryssi! Congrats and kudos to you! Your layout is awesome and showcases the stamps perfectly! I've got my eye on a few sets that I need. Wow! I am just loving all the stamps especially that camera! Neat designs - I really like the suitcase set and the polar pals set! Good luck with the new venture. So excited! These sets look awesome! congrats, kryssi and angela! so excited for you! awesome stamp sets--love your style! Big congrats. I love your design...there is something for every tate. Wish you all the best. Love that scrapbook page. Makes me want everything! Absolutely amazing and awesome designs! Congrats! Excellent page and inspiration, congratulations on your new venture! What a great layout! I really like the look of your stamps! Congrats on starting your own company! Congrats on the new company!! Congrats and seriously stunning layout!! Gorgeous way to open the company! From what I've seen of these new stamps, they are fresh and new looking and so much fun. Congrats and good luck with your new endeaver! What a fun blog hop and great new stamps--congrats on starting your own company. We just added a SUBSCRIBE TO gadget on the sidebar. Apologies for the technical difficulties! 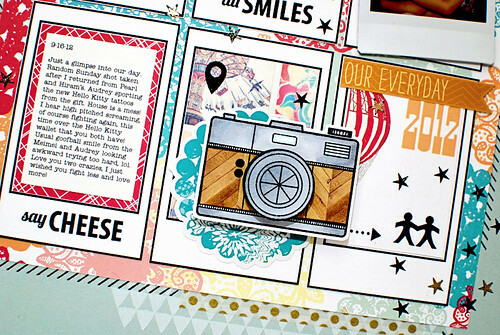 I love your page layout and using a lot of the new stamp sets. I really enjoyed the blog hop and seeing all the new wonderful images. Great work by the team and Congratulations on your adventure. This is so exciting. Huge congrats!! This layout is fabulous and I love the images I'm seeing! Your new stamps are all so cute -- congrats on the new company! Love all the stamps. Good luck! I am swooning over these adorable stamps! I MUST have that baby set! What a wonderful treat to be in on the grand opening of the new company! Congratulations and all the best wishes! Who hoooo this is awesome news! So love what I see so far! Darling lo! Love how you used the Polaroid. Wow! 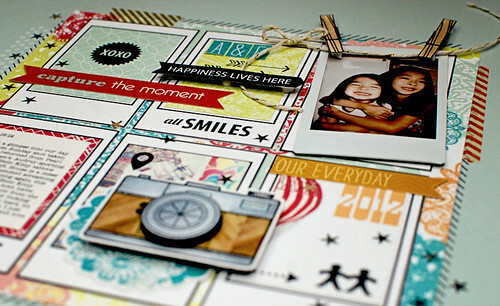 What a way to showcase so many of the stamps being released...love the bright colors and the wood look on the camera! Super cute L/O and great idea!! I just went shopping-love your stamps!! And yes - "stampede" is definitely appropriate!! Good luck with your new venture. Woohoo!! Congrats on the new shop! LOVE your stamps!! Love your layout! Can't wait to see what else you have in store!! awesome layout! great name and love the stampede! congrats again! Wow! Congrats!! And wow on incorporating so many of the sets in this fab lay-out! Wow....yoohooo....Congrats Krissy! I love your new stamp! Congrats on your Grand Opening, Kryssie! What a cute layout - I especially love the camera. Hope your business is a huge success! How exciting - best of luck to you! I love your new stamps! You two thought of the perfect sets--I really enjoy every little bit on your layout! Kudos to both Mamas in this new venture! Congrats on achieving your dream, best wishes for the future!! Lovely stamps, great layout. Thanks for sharing !! Sorry Krissy, I should have said congrats on your new venture.....silly me. Great layout. I love how you marked and labelled what stamps come from what set. Thanks for sharing and for the chance to win. Congrats Mammas!! I love what I see so far. Great job. I just found out about your new store from Jennifer McGuire's blog, think there might be a bit of shopping this weekend, love your stamps. What a great new adventure for you and your friend. I wish you both great success... the stamps are really cute. What a beautiful page-and your stamps are fantastic! Congratulations on the new company! So exciting!! Your stamps look amazing!! I especially love the "We Click" set!! Awesome! Your stamps are really cute! Loving the baby one! Good luck with your new business. I don't know if this is the way to enter to win, but wanted to comment regardless. Congratulations on your new company. Your stamps look great. I am so loving the graphic designs on your LO! I can't wait to see all the other projects! TFS! I am loving what I am seeing and cannot wait to see more! I love that you are from NY as I am too! What part? I am on Long Island. congratulations. the stamps are fantastic! looking forward to seeing more. Fantastic layout and lovin' these stamps!! LOVE those stamps and the great items you created with them!! !